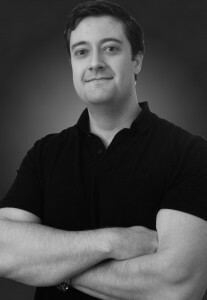 Luke had over 6 years of experience as a personal trainer and sports massage therapist before becoming an Osteopath. As a youth he played Rugby, Judo and Squash to a high standard before concentrating on Powerlifting. He has a passion for strength training that is the foundation for his structural osteopathic approach toward problems of posture, soft tissue injury or joint mobility. Whether the problem is structural or functional, the likelihood is there will be some strengthening homework to do, tailored specifically to address the issue and speed recovery. Luke has also completed a postgraduate course in Obstetric Osteopathy, treating the demands of carrying a child to term and the legacy of it post-partum. Despite a lack of first-hand experience, he is told Pregnancy really is the ultimate 9 month strength challenge for any athlete! 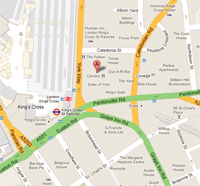 Outside of the gym Luke has worked as an Osteopath in the City of London, treating patients from all walks of life. This gave him a unique insight into the particular problems facing people required to be seated all day at work. Whether resolving pain, avoiding injury or maximising performance, treatments may involve; Joint manipulation, massage techniques, western medical acupuncture, strength and mobility exercises and lifestyle advice.